Enoch John West joined the cycle industry in 1888 working for Calcott Bros & West and the Progress Cycle Co. in 1896. Progress cars were made from 1898 to 1903, and from 1904 cars were made under the West name. They had 10/12hp 2-cylinder Aster engines. West also supplied engines to a number of other firms, including Academy, Heron, Nordenfeldt in Belgium, Pilot, Scout and Singer. He also supplied rear axles to Calthorpe and steering gear to the Scottish truck makers, Belhaven. As well as the Aster engines he used a few from White & Poppe, while the two chassis supplied to Nordenfeldt and Barriquand et Marre engines. In 1906 he formed a separate company to make Aster-engined cars which were sold under the name West-Aster. The first models had 16/20 and 20/22hp engines, but later a wider range was offered, from an 1842cc 12/14hp twin to a 35hp four of 5320cc, and a 24/30hp six. Delivery vans and taxicabs were also made. A West-Aster was the first Bristish made taxi to pass the Scotland Yard test for the London area. 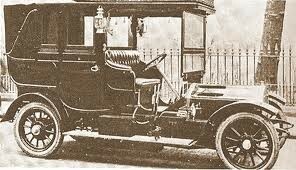 In 1908 parts were bought and assembled for an order of 100 taxis for Australia. When this fell through West Ltd was put into receivership. This was not the end of West cars, though, for in May 1911 a reformed E.J.West & Co. Ltd announced a new light car powered by an 830cc 7/9hp single-cylinder engine, with friction drive. West announced a cyclecar powered by a 965cc 2-cylinder Charter-Lea engine. Helped by finanial support West acquired a new factory for this, the major part of the Centaur Works in Coventry which had made bicycles and a few cars at the beginning of the century. In March 1913 the cyclecar's name was changed to Ranger.